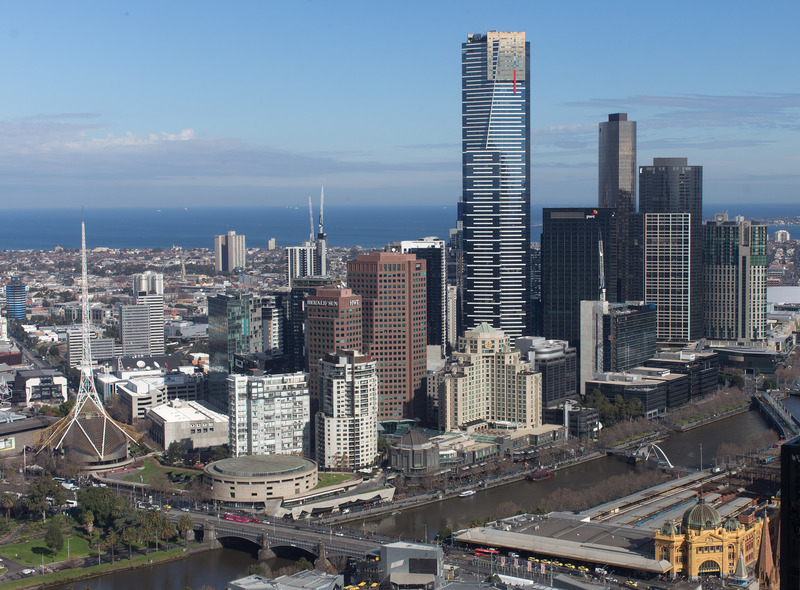 Eureka is a 200,000-tonne, 92-storey building in Melbourne which cost an estimated $0.5 billion to build, including 24-carat gold plating at top. 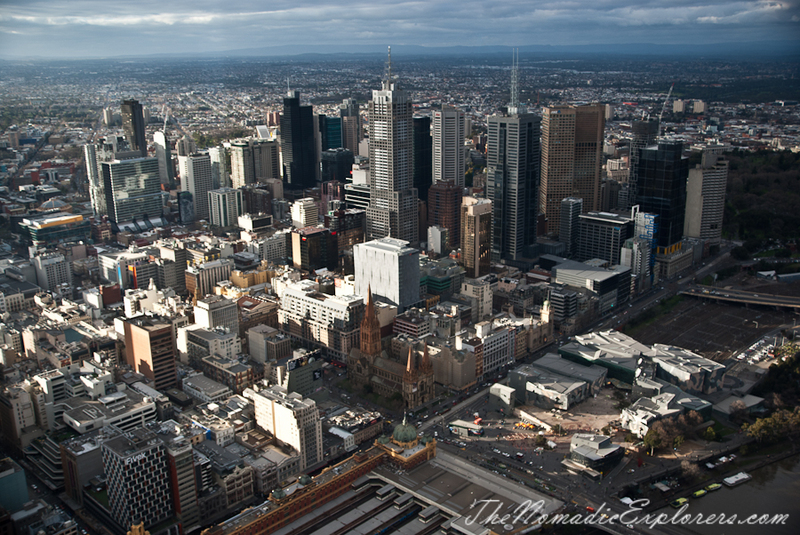 It is 297.3 metres tall and when opened in 2006 it was briefly Australia's tallest building. 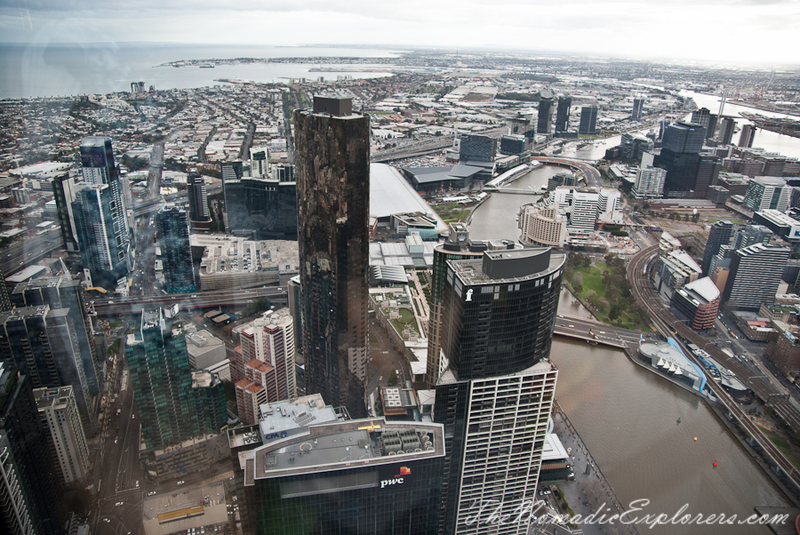 The observation deck (Eureka Skydeck 88) occupies the entire 88th floor of the Eureka Tower and is one of the popular tourist attractions in Melbourne. 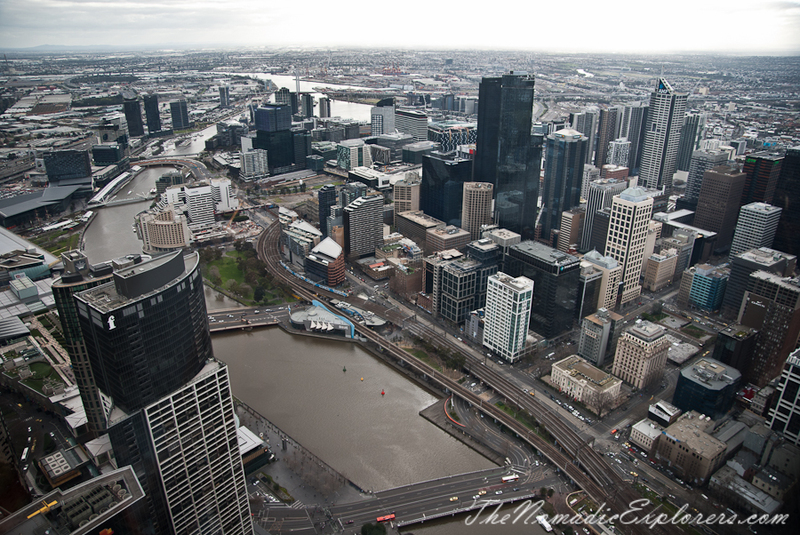 As for us, it is one of the best places to show the beauty of Melbourne to our overseas guests. 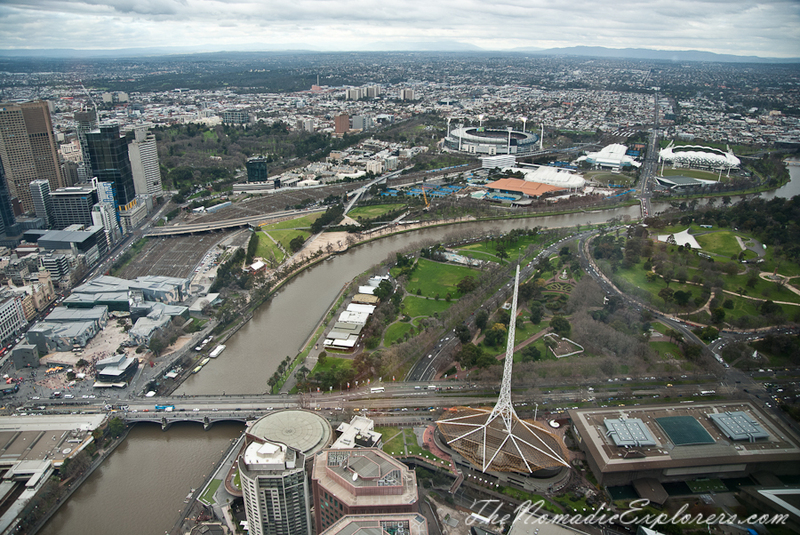 The tower is named after the Eureka Stockade, a rebellion during the 1854 Victoria gold rush. The gold crown and red line represent the gold and the spilt blood in the battle, and the front blue and white lines the stockade's blue and white flag. Seen horizontally, the white lines resemble a ruler. 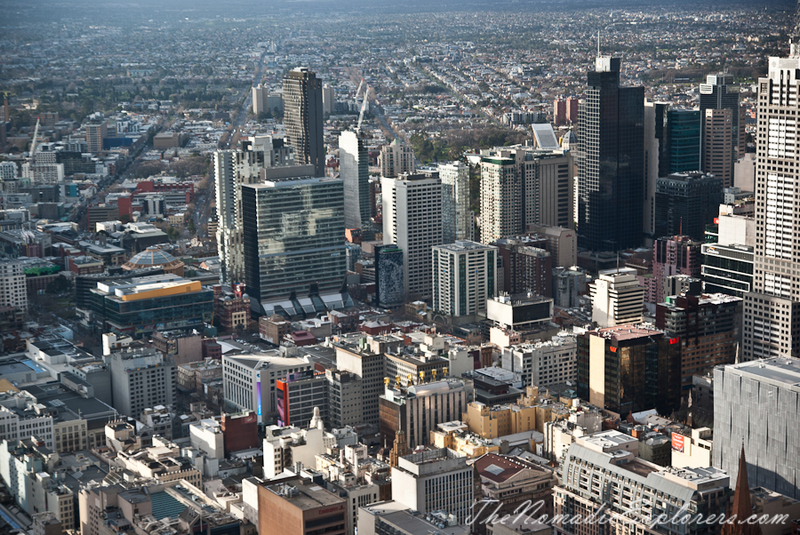 Unusually for a tall city block, it's mostly residential. 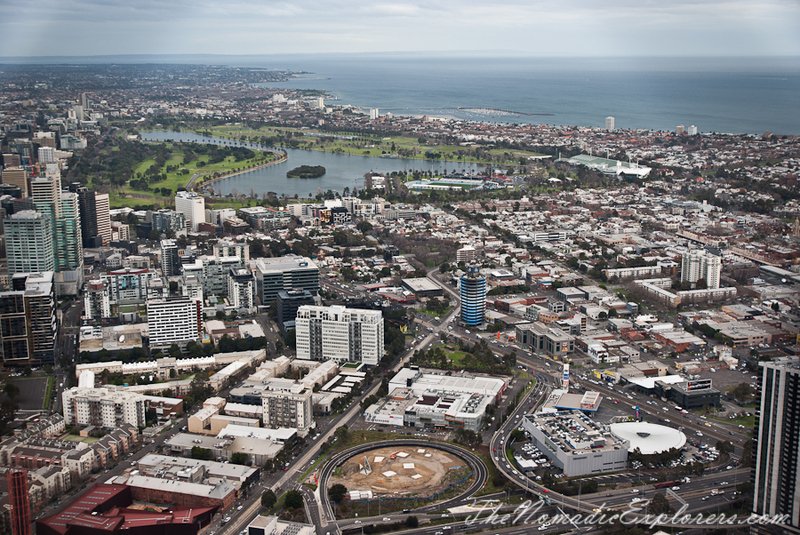 The first few floors include retail, a swimming pool and 814 car parking spaces for the 556 apartments. There are two service decks, penthouse suites on floors 82-87, an observation deck on 88, and a restaurant on the 89th floor. 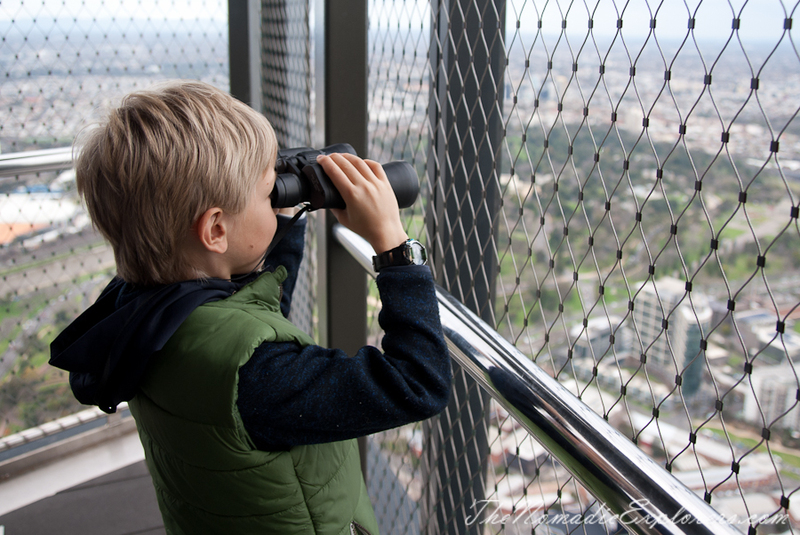 The Skydeck features thirty viewfinders that help visitors to pinpoint numerous significant landmarks around all parts of Melbourne, along with several free binoculars. There is a small outside area called 'The Terrace' which is closed in high winds. 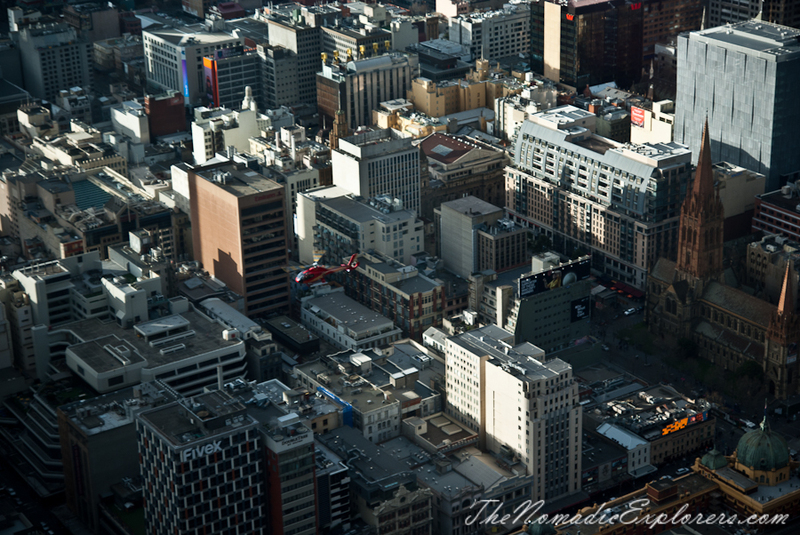 There is also a glass cube called 'The Edge', which extends itself from the building to hang over the edge of the tower and add to the viewing experience. 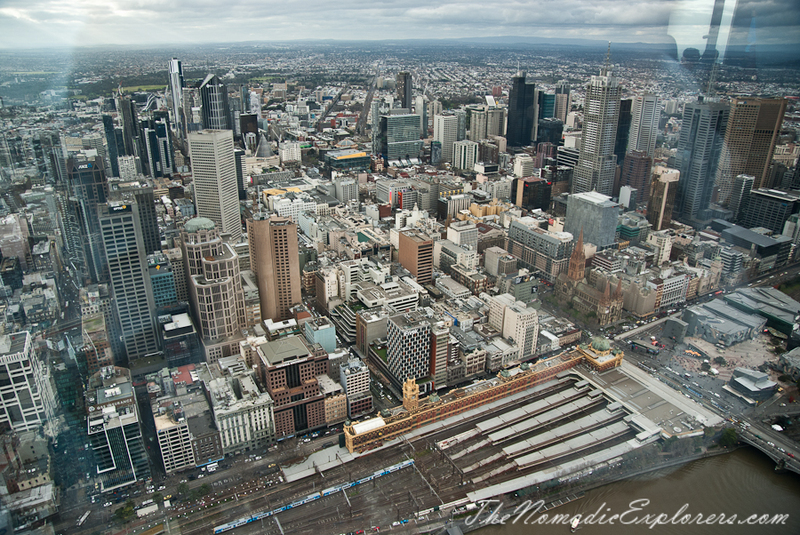 It is said that on a clear day, you can see up to 75kms in every direction - this is Melbourne sightseeing at its finest. 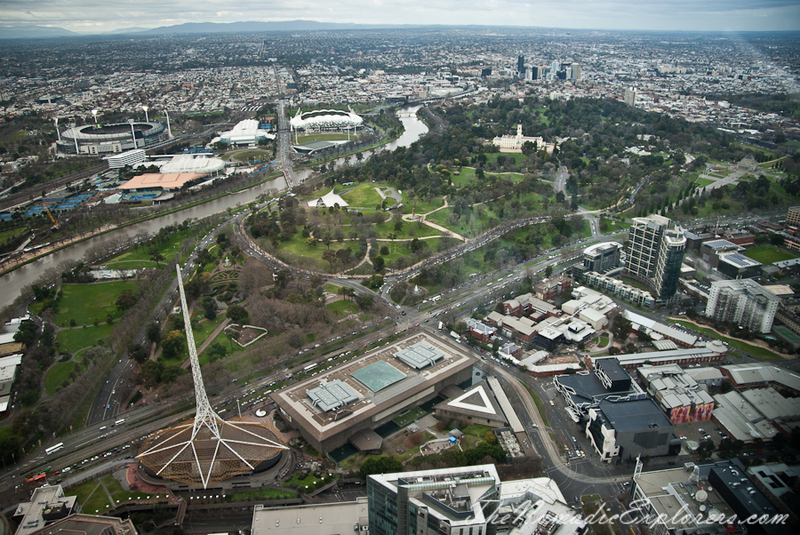 Botanic Gardens, Kings Domain, Arts Centre, NGV International, St Kilda Street, South Yarra. 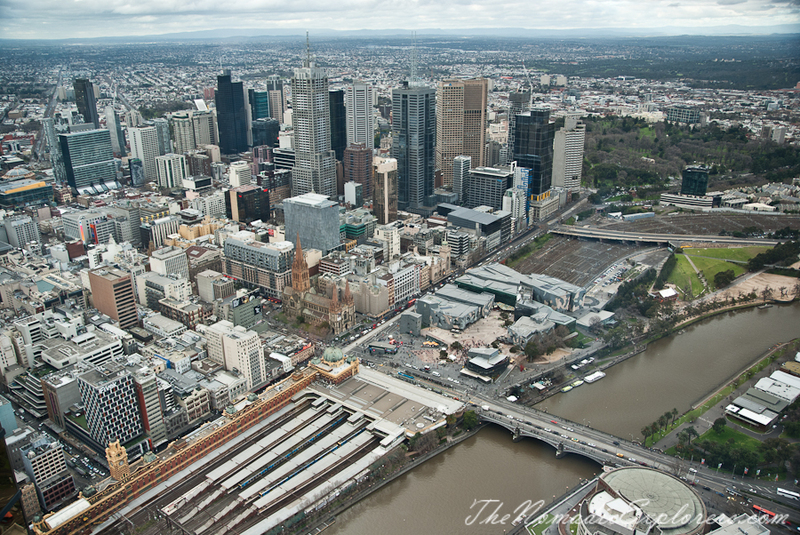 I spy a Discoball! Can you see it? 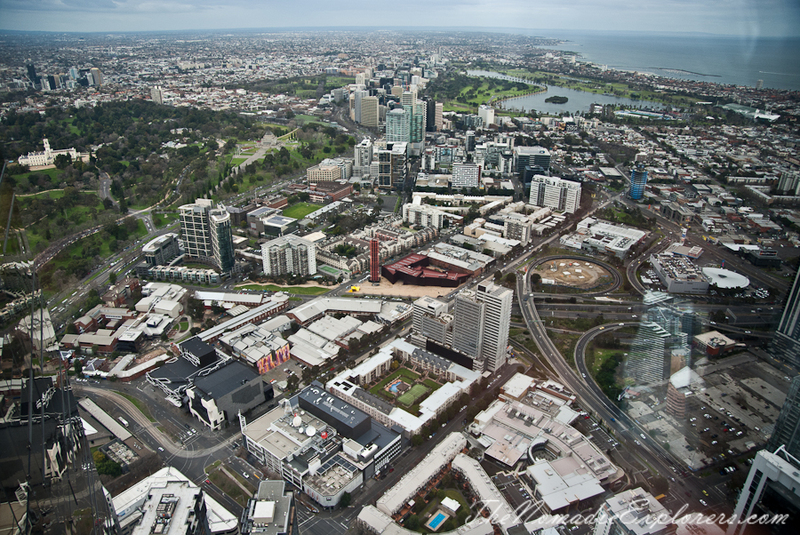 Once you arrive at Eureka Skydeck, you are free to stay there as long as you like. There is a small cafe inside, lots of chairs, sofas as well toilets.